Last year I made a trip to Bangalore after a good number of years and was surprised to notice a vast change in the hospitality offerings. Luxury hotels had sprung up in every nook and corner. It was no more just about business and budget hotels with a few luxury hotels which only the uber-rich could afford. I did check out a few hotels though while I was there, and then with further inputs of friends in Bangalore, I zeroed down on a list of the 'Best Luxury Hotels' in Bangalore. The hotels below are definitely on my recommended list and I'll tell you why they should be on yours as well. The Leela Palace Bengaluru was the first ultra-luxury hotel that Bangalore ever saw. Inspired by the Royal Palace of Mysore, it was the first modern palace that one got to see; it stood amidst seven acres of lush gardens and a sparkling lagoon. Innumerable awards and accolades since its opening prove how excellent it is. I would make sure to spend at least a few hours in its coffee shops or restaurants when a room was not in my budget, just to soak myself in the aura of the property. 357 luxurious guestrooms including about 30 royal suites, multiple dining options and world class banqueting and conferencing venues make it a sought after venue. You even have 'The Collonade' which provides a world-class shopping experience incase you are staying there and do not want to step out to shop. Zen the Pan Asian restaurant is amongst the best in the city and The Library Bar is the perfect place to unwind after a long day at work or exploring the city. From an expensive INR 20,000 a decade ago to an affordable INR 13,000 now, this is one property you must stay at. One of the newer ones on the block, the Shangri-La experience starts right from the airport with a warm welcome by one of the hotel representatives. A short drive later, you are welcomed into a beautiful lobby with a hot cup of tea while live piano music plays in the background at The Lobby Lounge. A private check-in into your luxurious room is followed by you taking in the sweeping panoramic city views. The rest you have to experience for yourself but what is highly recommend is a relaxing massage at their renowned spa CHI - The Spa, and a meal at Shang Palace which specializes in Cantonese and Sichuan dishes with my favourite being the Cantonese dim sums. Also, do not miss some amazing cocktails at Hype, the rooftop bar which also offers you spectacular views of the city. Location is central making it a no brainer to decide why to stay there, and room prices start at INR 16,000. What delights you the most about this place is the warm and friendly staff and how they go out of their way to make you comfortable. The hotel is beautiful with an element of green everywhere and you can see exactly why it prides itself on "responsible luxury". The rooms are tastefully designed, comfortable and really spacious. The breakfast spread at Cubbon Pavilion is one of the best that you get in the city and if you are staying on a weekend then the Sunday Brunch there is a must. The award winning Japanese restaurant EDO inspired by the ancient name of the city of Tokyo, serves some of the best tempura in the city, and is a must visit. Room rates start at INR 15,000 and if you choose to stay here, you will land up recommending this property to everyone. The Sheraton is synonymous with great service and amazing hospitality. Location wise it is a dream with important landmarks and a mall right next to it. The rooms are gorgeous. If you take the package with access to the SPG Club Lounge then you have struck gold! They offer you the most impeccable personalized service, elaborate breakfasts and drinks that delight your senses. As far as dining options are concerned, the Persian Terrace is where you have to go. The setting is beautiful - an al-fresco seating under the stars, over-looking the ISCKON Temple where they serve you the most mouth-watering kebabs and mezzes. An experience which you can't replicate anywhere else in the city. Room prices start at about INR 10,000 for the Deluxe Room, while the Club Room with the lounge benefits come at a slightly higher price. 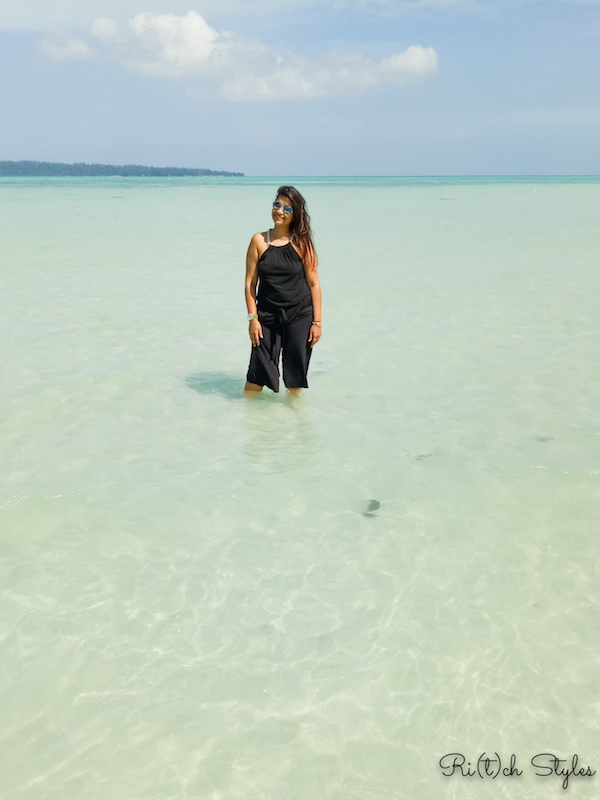 I am sure even though you have no plans, these options are amazing enough to lure you, and so just hop on to one of the cheap flights and get going to Bangalore! Other than these hotels that I've recommended, the Royal Orchid Bangalore though not luxury still features on my favourites list, and I do make it a point to stay there or visit Geoffrey's its English Pub when I visit. 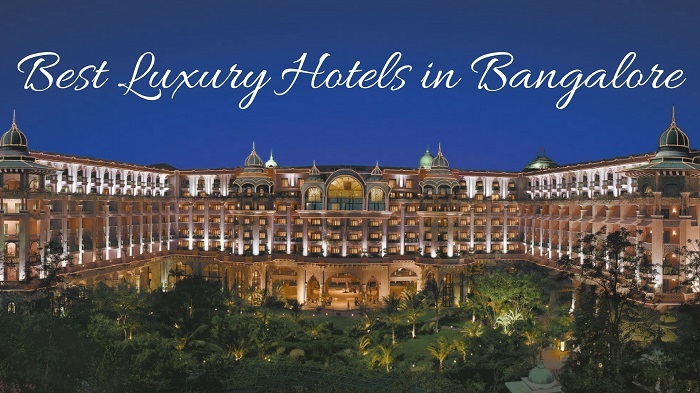 I would love to know more about the luxury hotels that you have loved in Bangalore based on your experience. Drop in the suggestions in the comments below! I will be there for my leisure trip this year. It would be helpful.